View of the Alps from South shortly after departure from Milan Malpensa aboard DL161 bound for JFK. In the Boeing 767 family, the raked wingtips are only found on the 767-400ER which performed this flight. 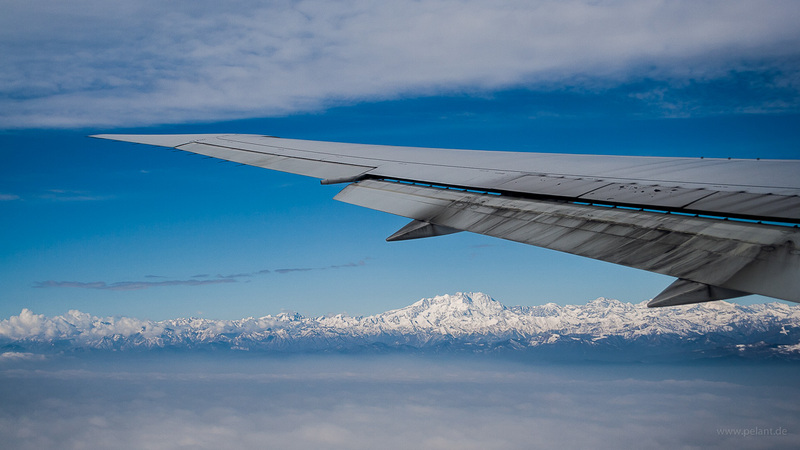 The Monte Rosa massif is under the outer wing pylon.